I headed over to the Nuun tent and saw Lauren and she gave me an awesome Nuun tattoo which people at work thought was real. I also ran into Dawn and got to meet Megan and Andrea. I was also trying to find Sarah before the race but I’m a dufus and was standing by the start line for the kids’ dash instead of the real race. Whoops. The course started in Marymoor Park and then continued on the Sammamish River Trail and then through Redmond Town Center before looping back into Marymoor again. It was a brand new course since construction by UW-Bothell caused the race to move to a new location. I was thankful for the change in course because it meant the route was flat and I’m very familiar with the stretch of trail since I run it every weekend. 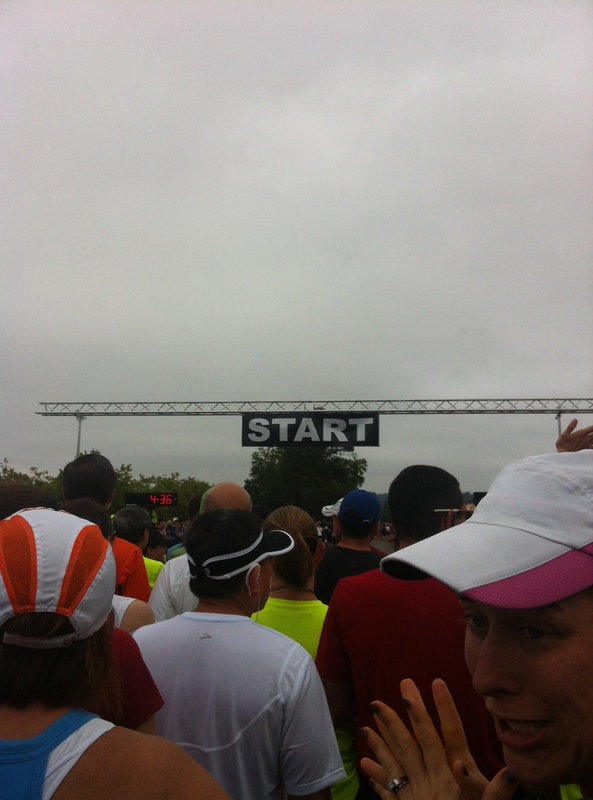 The weather at the start was chilly and cloudy, perfect race-day weather. Even though my legs were tired from Saturday’s long run, I went out fast and maintained a pace between 8:30 and 9:20 the entire race, minus the last couple of miles. Once I hit 10.5 miles, the sun had come out and I was ready to be done running. During the race, there were a couple of times when I looked down at my Garmin and I knew I was on track for a sub-2 hour half but that went out the window as soon as I slowed way down in the last part of the race. 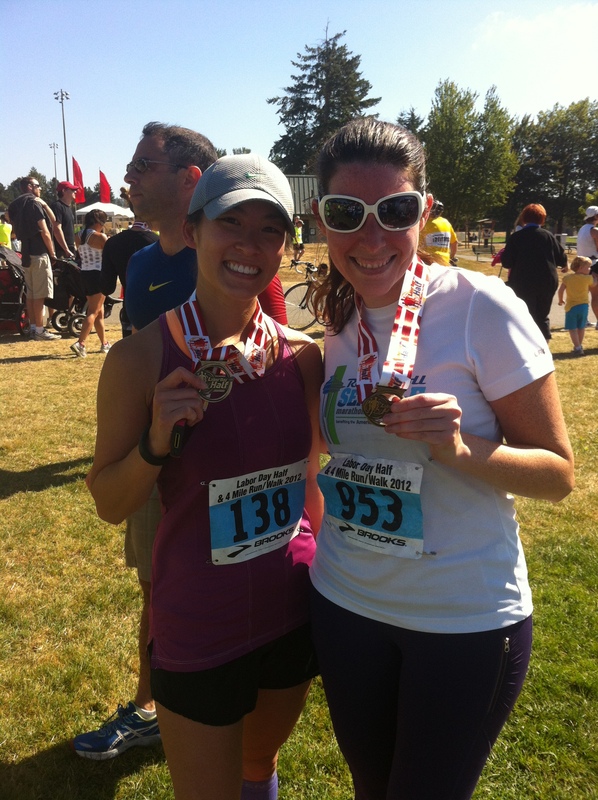 I’m still pretty happy that I finished in 2:06, a new PR for me, down from 2:17. The cool weather and a flat course definitely helped contribute. After the race, I said hi to Lauren again and tweeted at Sarah. She jumped back out of her car so that she could take a couple of pics with me. I had a lot of fun during this and was glad I decided to register at the last minute. 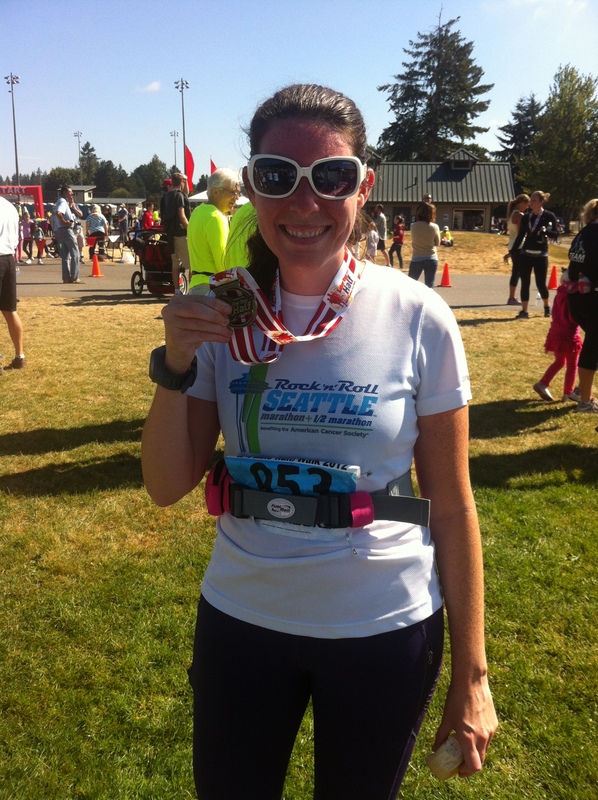 This entry was posted in Uncategorized and tagged half marathon, labor day half marathon, marymoor park, redmond half marathon by lulurunnerlove. Bookmark the permalink. WAY TO GO LADY!!! Very very impressive. PR city around here for you these days!